These were the words tattooed on Daniel Bowling's body, and the words that are on the first blue heart his mother Michele made to raise funds and awareness for mental health. 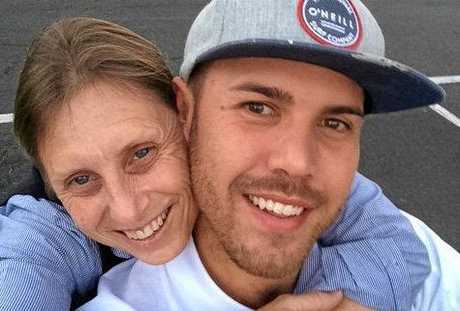 Daniel took his own life on November 30 last year, and as Michele struggled with the grief of her son's death she resolved to find some positive to come from the sadness. Initially, Michele planned on holding a charity day at work, but with the urging of her colleagues she decided to go in a different direction. 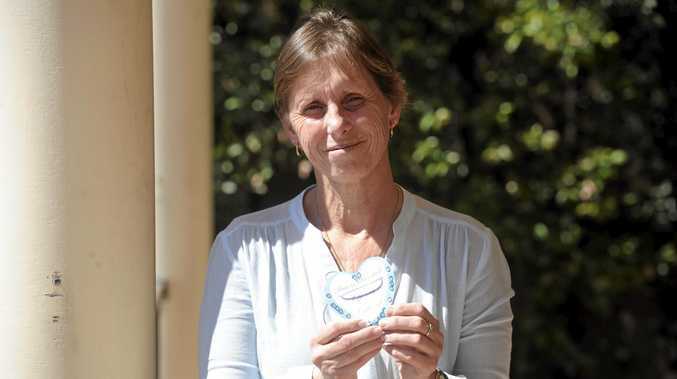 "I've had these blue hearts made and I'm fundraising for the Black Dog Institute, and all the money will go to them, and my idea is on November 30 I'm asking people to wear their heart on their sleeve," she said. "It's about awareness and about trying to find a way of making something good come of something really bad. "When we think of love and grief ideally we think of the heart, and it's a common saying that your heart is broken, it's aching, it's all of these things that physically aren't possible but you just feel broken and when we talk about depression and being sad there is this sense of being blue so that's why it's the blue heart." After initially ordering 250 hearts she was wondering what she would do with the leftover hearts. She has now just ordered another 500, and is hoping to visit schools around Grafton to share her story. "One of the saddest things I've found is the number of people who can relate, and you start to realise just how big an issue this is," she said. Michele is asking for a $2 donation for the blue hearts. To order a heart, contact Yoohoo McPhee Print in Grafton on 6642 4555. For more details, visit the Wear Your Heart On Your Sleeve Facebook page or the Everyday Hero site, or contact Michele on 0429900486 or mi_shell_63@yahoo.com.